Learn to make a pants pattern that fits you. WeWe’ll make a muslin (test version) of a pair of pants and learn the basic fitting fixes for pants. 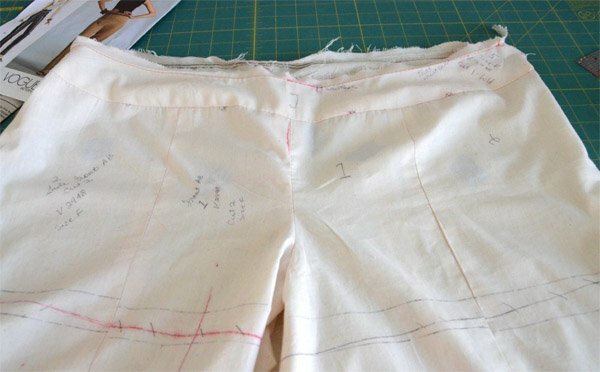 Transfer those fixes onto your paper pattern, and at the end of the class you’ll have a pattern for custom-fit pants!